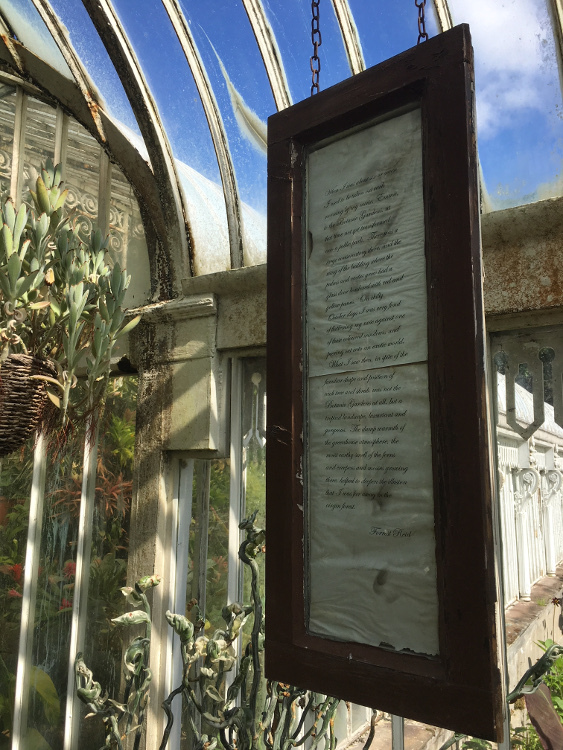 If you have ever wandered through the Palm House in Belfast’s Botanic Gardens, you may have come across this hanging frame containing a childhood memory of the Palm House. It’s from Part One of Forrest Reid’s autobiographical novel Apostate (1926) in which he describes a childhood memory of visits to the Palm House. While Forrest Reid (1875-1947) is not well-known today, he is one of the most significant literary figures to emerge from Northern Ireland. During his lifetime, Reid was admired by writers including Walter de la Mare and E.M. Forster, who dubbed him the “most important man in Belfast”. Reid was a keen collector of illustrated postcards and hundreds of these are held in albums in Special Collections. 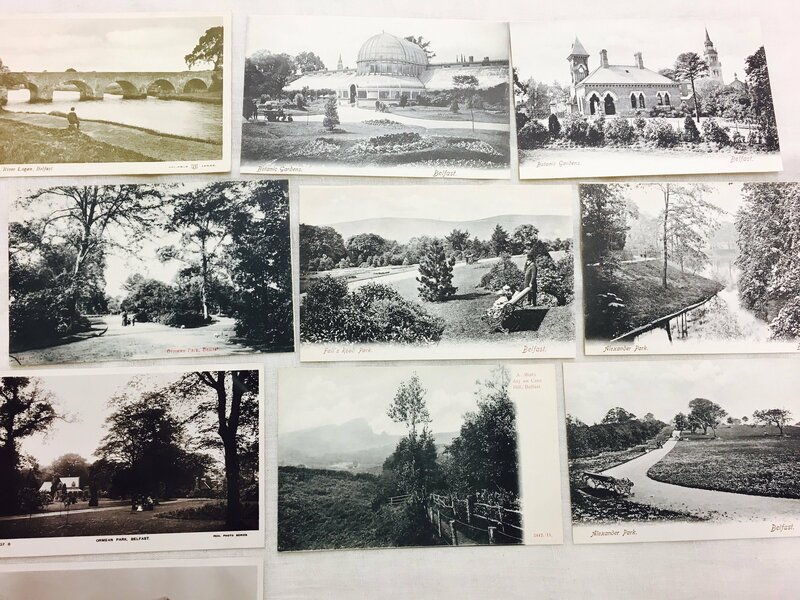 The postcard images of Belfast park life shown below include one of Botanic Gardens (top middle). Discover more about the Reid Collection and access the manuscript collection listing via RASCAL. See also our recent blog post on Crying for Elysium: stories, poems, essays.